This video demonstrates how the behavior of each group member affects both the emotional reactions of the other individuals and the effectiveness of the group as a whole. You will see how the encouragement of direct dialogue between members of the group helps them to effectively communicate and resolve their interpersonal conflicts. The series of videos will show how a variety of therapeutic techniques change the dynamics of the group to create more synergistic creative energy. I hope you find these videos instructive in your own psychotherapy practices. In Part Two of Group & Family Therapy, I help the band explore their feelings related to their creative process as a group. I have created an exercise to empower each group member to express visually how they feel when creating music together. Helping each member to find new ways to share their feelings is an important step to further communication among the group. Sometimes, crayons and paper are more powerful than words. Again, I hope you find these videos instructive in your own psychotherapy practices. In Part Three of Group & Family Therapy, I continue to work with Atmosphere to address their feelings regarding collaboration and working together. Tensions can arise during these sessions when a member of the group voices criticism of another member, as you will see in this video segment between Sean and Nate. It is important for the therapist to guide talks in order to facilitate conflict resolution. An apology is not always necessary, but encouraging members to acknowledge another group member’s positive contributions is always a sign of progress towards honest mutual validation. Thank you for taking the time to watch these instructional psychotherapy videos. Don’t forget to watch the first two parts of my video series and click the link at the top of http://www.ralphborka.com to order my VHS tapes. Slug, the best rapper in the world. Period. Sean Daley, (born September 7, 1972) better known by his stage name Slug, is an American rapper. He is from Minneapolis, Minnesota. 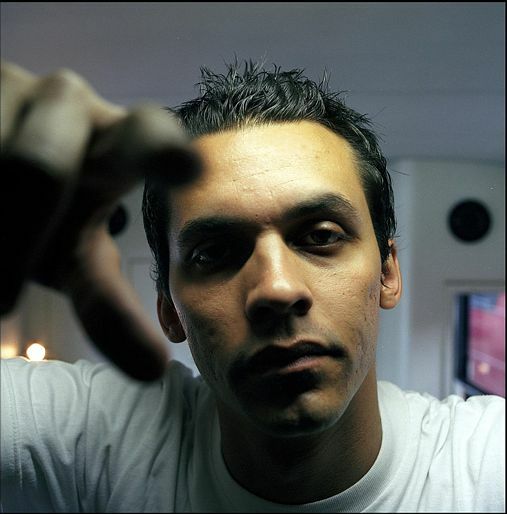 Slug is best known as one half of the hip hop group Atmosphere, which he founded with Derek Turner (Spawn). He is also one of the founders of the Minnesota Hip Hop record label Rhymesayers Entertainment. Atmosphere is an American hip hop group from Minneapolis, Minnesota. The members are rapper Slug (Sean Daley) and DJ/Producer Ant (Anthony Davis). Active in various forms since 1993, Atmosphere is one of the most commercially successful and long-lived independent hip hop groups.